Decided to chill with a bottle of Shiraz only to find that the cork had disintegrated while still inside the bottle. Had I been in Taobaoland, I would have easily resolve the problem as I have The Thief (see right) just for such an occasion. Alas, I am back home in my kitchen with a bottle of wine with a fragmented cork, which I had no choice but to push it through. 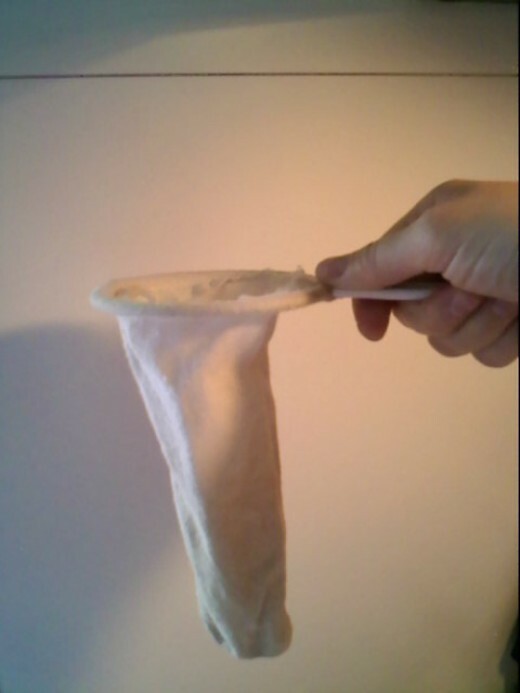 A quick rummage through the drawers and cabinets I found the solution courtesy of a coffee sock and a coffee pot. With the coffee sock in the coffee pot, I proceed to pour the entire bottle into the pot through the sock and straining out the cork bits en route. 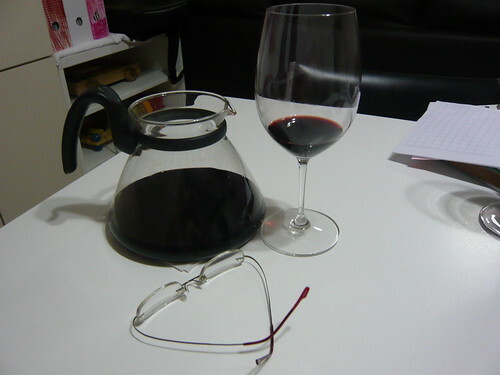 The shape of my coffee pot, being one with a wide flat base actually doubles up as a pretty good wine decanter. Wide surface area for the wine to interact with the air. Perfect! Yes, granted that compared with the actual McGyver who gets himself out of life-and-death situations, I nevertheless still took a step back and marvel at my own genius. Yeah. I am quite shameless sometimes. join the club! i'm equally shameless and not ashamed of it! a self-pat at the back a day keeps the doctor away. so says Dr Fry. or Quack Fry. I believe u hv no prob finishing it in one sitting...haha! Yes, indeed I did. Besides, storing the wine would be such a headache.